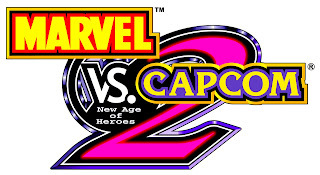 Anyone out there want to play Marvel vs Capcom 2 on a controller with a 'real' d-pad??? Yes, today's PSN release is Marvel vs Capcom 2, a downloadable title that's been out on the Xbox Live Marketplace for 2 weeks now. Capcom has teamed up with GameStop throughout the US for an exclusive (and actually limited) retail release for $14.99. Same price as the PSN counterpart, but it does come in a fancy box to place on your shelf, as well as a one-month subscription for the Marvel Digital Comics service. Cool bonus for sure. Mind you, there is no actual disc in the box, just a redeemable voucher to download from the PSN. One other point of mention, the first 15,000 purchasers of the full game off the PSN, will also receive a code for a free month subscription to Marvel Digital Comics. So a great game, great graphics, lag-free online play, and a few extra bonuses available. You can check out our Xbox Live review here, as they play the same.